Money. Something that often allows for opportunity, or lack thereof. In the arts, money can often be an issue with regards to accessibility. Broadway tickets are anywhere from $20-$800, and summer events almost always come with an attendance fee. It can become discouraging to anyone who wants to have access to the arts, while maintaining a budget. However, there is salvation to this seemingly endless problem. 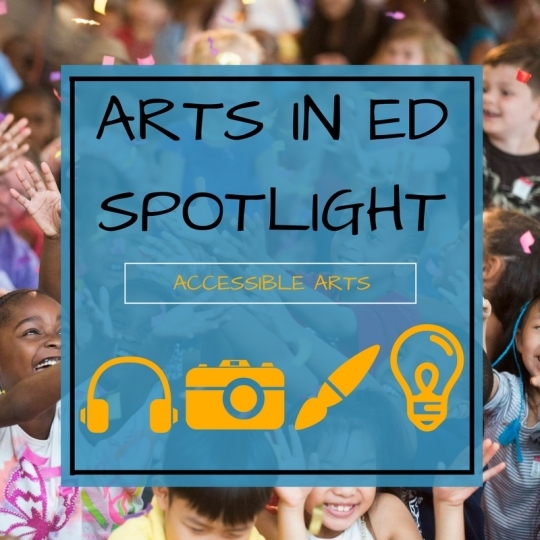 Arts programs have been made accessible all over the country for students, families, and people from all walks of life. In Rhode Island, the Perry County Council for the Arts offers their Drop-in Art Program for local children and their families this summer and fall. This program is free to anyone stopping by and offers painting, crafting, and great music. To read more about this program click here! In California, our own Arts for Learning, San Diego offers Faeries in the Garden for kids. This program is free to the community and continues to promote free arts opportunities for everyone. Kids get to be in a magical world with all different types of artists offering them the opportunity for endless creativity. To read more about this program click here! In Arkansas, their Super Sunday Free Family Funday is what to look for each month. This program features varying speakers and artists who work with participants that range from toddlers, to grandparents. The activities often focus on what their local museum is featuring, with an artist who specializes in the chosen medium. To read more about this program click here! Funding for the arts has always been in question, but it’s communities like these that keep the spirit of the arts alive. Awesome and accessible arts programs is what keeps the creativity flowing for all. “Authors, painters, illustrators, musicians and craft makers had plenty of projects for children, many of them geared to sparkle the beginning of a creative nature in the young inner artists.” - Albert H. Fulcher, author of 'Faeries in the Garden' arts for kids.